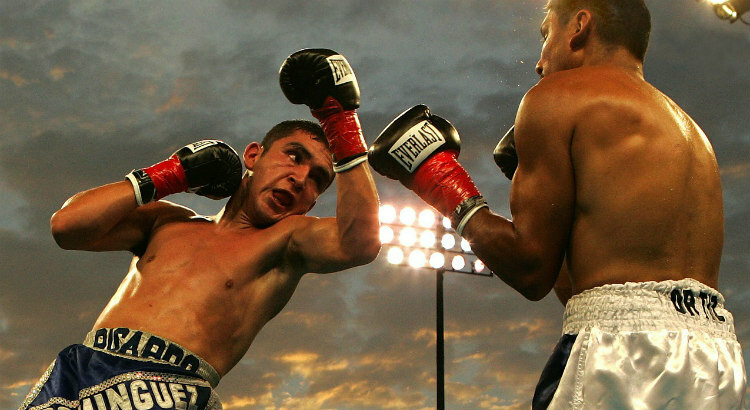 Boxing is soaring in popularity. Not a month goes by without a huge fight drawing national – if not global – interest. When there is big interest, there is big money to be made. Plenty of people will have a flutter on the boxing, but they won’t be looking for boxing betting tips – the majority will prefer to back their favoured fighters without a second thought of the things that need to be considered. Fortunately for you, we’ve listed the essential things you need to consider below. There is a tribal passion in most sports for your own team, a lot of that comes from where you’re from and your family links to a sports team. Boxing is unique in the regard that there is no loyalties, it’s rare to find a boxer from your hometown, and even then they’re unlikely to fight more than a few times a year. This lack of identity to one specific club means that fans generally pick and choose which boxers they like, and which ones they don’t. This creates a problem when it comes to betting. In a team sport, you’re not usually too bothered who wins beyond your own team, and as a neutral you can bet with a clear head, and not with your heart. In boxing, however, watching two neutral fighters is rare, you usually favour one that you want to win. This means in the sport of boxing it’s a lot easier to get carried away and bet with your heart, which is always a dangerous thing to do. Getting an objective perspective on a fight can be difficult. That is, betting on a fighter that you want to win, and also one that represents true value. Without realising that it’s very unlikely. An example can be found when Amir Khan fought Saul ‘Canelo’ Alvarez. Making a case for the British fighter seemed in some senses logical, he had the quicker hands to go with his immense boxing ability. The reality that happened however is the reality that all boxing aficionados with a unbiased head thought would happen, at some point Khan would walk onto a punch and it’d be lights out. That’s exactly what happened. The Khan fight was just one of many examples where a fan could talk themselves into betting on a fighter that they should stay well clear of unless you can be confident you’ve received odds that represent extraordinary value. They hype machine in boxing as well can always be tricky, a great promoter will always be able to build his fighter up to be something he’s not. You see this especially happen earlier on with professional fighters where their opponents have been of an unknown quality. Anthony Joshua’s early title fights are a prime example of having to look beyond a record when you consider his opponents. Before their respective fights with Joshua, his opponents (Martin, Brazeale) had unbeaten records. Perfect records can look impressive, but can quickly be shown up. Those fighters had a better record in terms of numbers than Joshua before they fought him, but he soon put that right, the two of them lasting barely 10 rounds between them before being knocked out. It’s not just important to compare records and styles, but also to compare previous fighters; who have they fought, what were their styles like, had their opponents beaten anyone notable? Inflated records make money for promoters and broadcasters in boxing. Make sure you see through these and use them to find value in a market where many will bet with far less knowledge. In terms of successfully betting on a fighter, looking at their record isn’t much of a help, you need to look a lot further into it than that. The best way to judge a fighter is looking back at who he’s fought, and how well he has done against top level opponents. That gives the best judge of how good a fighter is, and it’s then easy to compare that record against his opponent. You may see that a boxer has a string of early knockouts against decent opponents whereas his future opponent may have struggled to win against the same calibre of opponents. In that instance both fighters may have perfect records going into the fight, having fought a similar level of opponents, but that doesn’t tell the whole tale. Another good way of looking into the past is to see if the two boxers in the fight have fought the same opponent in the past, this way you can compare the two contests and see which one made it look easier, and therefore you can then deduce from that who should be the favourite. It pays to be aware even still of the circumstances of the fight, and one may have been due to a boxer struggling against a different style. Talking about styles, there is a long running saying in boxing that styles make fights. Styles can also be great in determining who should have the upper hand in the contest. It might be that one boxer struggles against southpaw opponents, and that’s who his next fight is against. He might have poor footwork and is coming up against a boxer who is great on his feet, and therefore he won’t be able to get away from the pressure. Like in the aforementioned Khan vs Alvarez match-up, it might be you have a fighter who isn’t as talented, but he has a great punch and is fighting someone with a suspect chin. Perhaps a fighter looks great on Instagram throwing fast combinations of punches, but they lack basic boxing experience and knowledge. As with all betting, it’s always best to stick to what you know. Betting on a random fight between two people in the middle of Russia that you’ve never heard of is likely to leave you out of pocket. Know your fighters, and know what their strengths and weaknesses are. It was clear in his later years that Floyd Mayweather was looking to simply outbox people and not care about the knockout, a bet on a points victory was usually a safe bet. Put out of your mind who you want to win, and instead took at their tools and how they are going to use them for victory, and the method of victory. Bet with your head and stick to what you know, if you do that then more often than not your hand will be raised in the air as well as the champion that you’ve just bet on. Remember, all of the tips in this post need to be combined with the simple betting fact that you need to pick the right bet at the right price for it to be a profitable selection long-term.